This autumn, Design Wild is thrilled to be facilitating a Community Visioning Process for Dewitt Clinton Park, hosted and sponsored by CHDC. 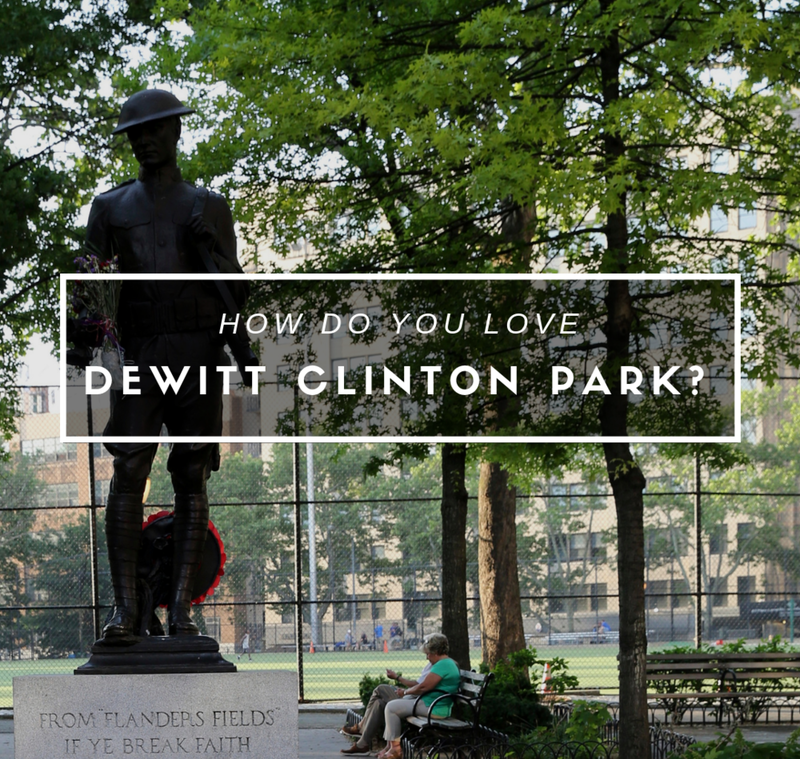 Dewitt Clinton, located on the northwest corner of the Hell's Kitchen neighborhood here in Manhattan, is the largest park in the district, well loved and with a rich history (you think Urban Ag is cool now? How about a female-run urban ag program farming with children in the early 1900s! There are photos.) The community is embarking on a process to create a unified vision for the future of Dewitt Clinton Park. Do you live, work or hang out in the Hell's Kitchen neighborhood? If you do, we'd love you to join us at several upcoming events for the park. There will be fun and activities and always food. You can also tell us what you love and what you'd like to see more of by filling out a survey here. Visit our website to learn more.